Custom cricket apparel(shirts, pants, caps) for cricket teams and clubs in United States are available at very reasonable prices. There is a minimum order limit of at least 25 cricket kits requirement for the custom cricket unirforms order. You can order your custom cricket kits online and email us the customization requirements like colors, players names and numbers at info@cricketequipmentusa.com. 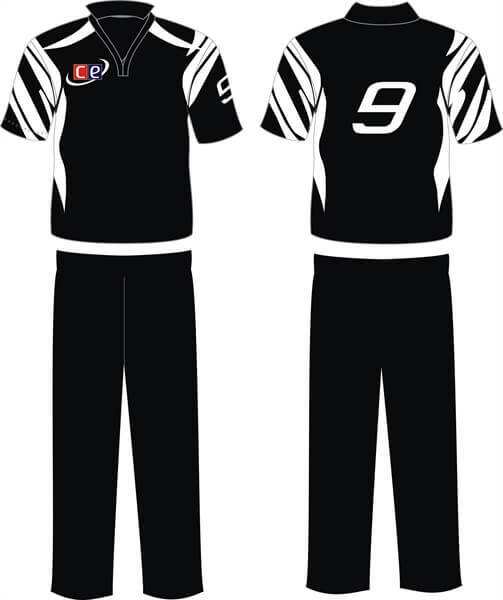 We can also print name and numbers along with your team logo on the uniforms. 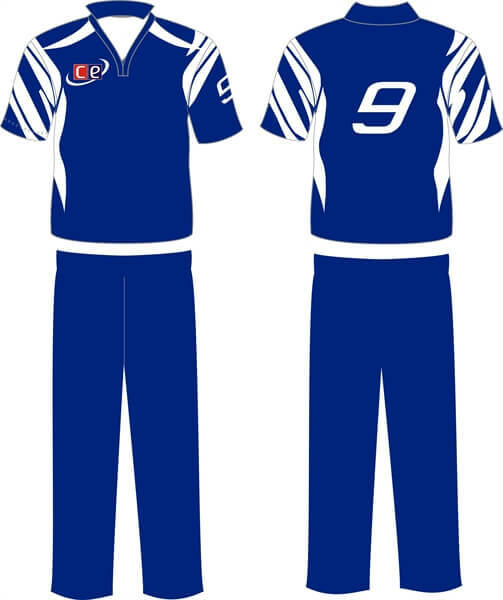 Uniforms can be made in different colors from our pre-defined designs. Special pricing is available for Cricket Clubs in USA as an effort to promote cricket in United States. Please email vist our cricket clubs discounts link if you are a member of cricket club in USA. Share the discount information with your other club memebers and become a part of our community. Let us know what are your equipment needs and we will try to work out the best possible deal for you. If you are a member of an organizing committee of your cricket club in USA and actively participate in the purchasing activity then please go ahead and register with us and email us with your registered email address so we can classify your account as a cricket club manager account. There are some special privileges for having such an account with us including discount and special pricing.